Mr. Raj Ghadge heads the pharmacy department of the hospital. 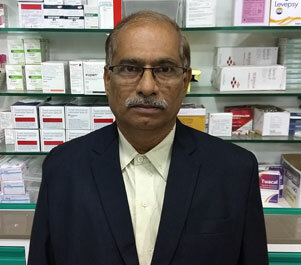 He himself owns a leading pharmacy in Satara since over 20 years and has vast experience in it. He ensures the patients, doctors and the clinical team hasn’t been caused any inconvenience due to non-availability of the medicines, Regular use clinical instruments, etc.